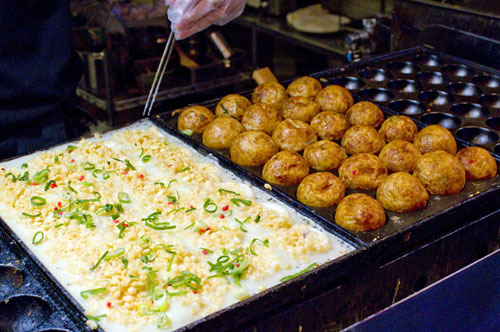 Takoyaki, kushiage and yakisoba are served Osaka-style here at this late-night, Osaka-based shop. 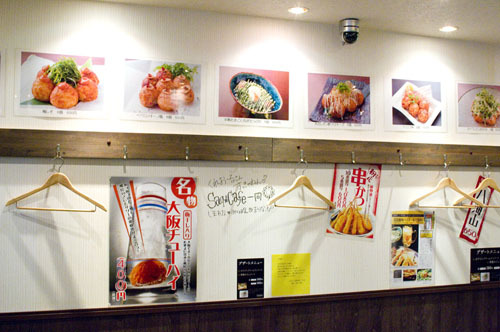 There's a big takoyaki grill in the front take-out window, a small six-seat counter on the ground floor, and space for another twenty or so upstairs. 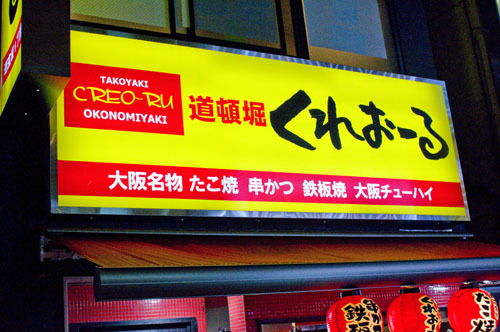 The takoyaki here is filled with big chunks of octopus in a filling somewhere between creamy and fluffy, coated in a thin outer skin. In addition to the usual sauce options, Creoru offers some interesting variations like anchovy mayonnaise with black olives, ume-shiso, and truffle oil. 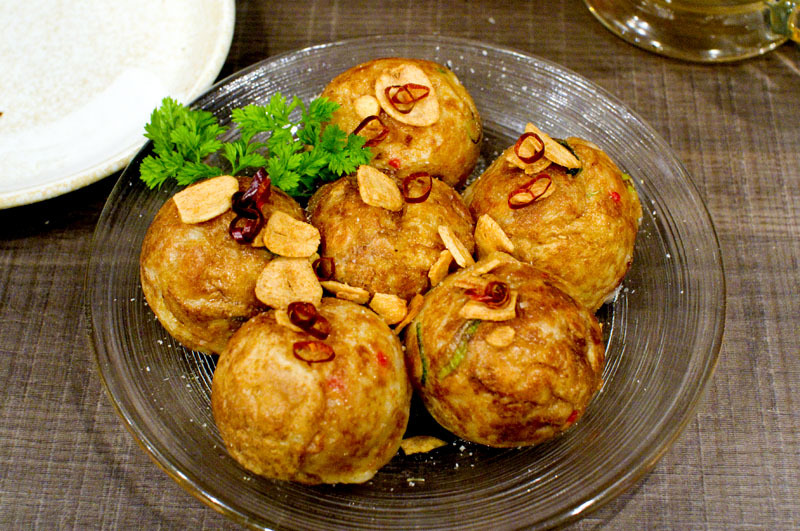 The pepperoncino takoyaki is quite good, topped with toasted garlic chips, red pepper and salt. 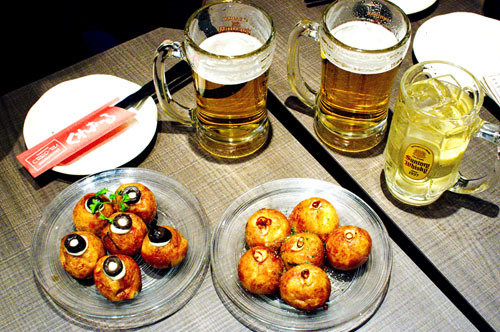 Also featured on the menu are "Osaka-style drinks," which in this case means frozen plum liquor and various highball cocktails as well as red and white wines. Menus are bilingual.